Black Friday is coming and so are the special discounts for Black Friday sale on all your favorite WordPress themes, plugins, SEO tools and web hosting plans. 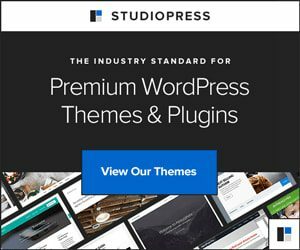 Brainstorm Force, the company behind the popular WordPress theme WP Astra, and plugins like Convert Pro, Schema Pro, Ultimate Addons for Beaver Builder, Ultimate Addons for Elementor, and WP Portfolio is offering a special discount of 30% on all their products only during this Black Friday. I had previously written a comparison between Astra, GeneratePress, and MTS Schema which you can read if you are interested in finding out how Astra fares when put in the ring with similar light-weight yet powerful WordPress themes. So, if you have been waiting for a good time to buy your copy of WP Astra Pro Add-on, or Convert Pro plugin, now is the best time. It is simply the biggest discount of all time and comes only once a year. This year, WP Astra Theme Black Friday sale runs from Tuesday, November 20th at 10 AM IST to Wednesday, November 28th at 10 PM IST. In order to avail your 30% discount on Astra Pro Add-on, all you need to do is make use of the below coupon code or link while making the purchase. Don’t worry if you are not able to find a place to paste the coupon code while checking out, the coupon code will be applied automatically when you click on the link. By the way, don’t forget the fact that Brainstorm Force is offering the same discount on all their popular products. Be sure to grab your copy of Convert Pro and generate valuable leads from your website traffic. Convert Pro comes with a drag and drop builder which allows you to design high performing opt-in forms in minutes, loads very fast and is 100% mobile friendly. Other features of Convert Pro include usage of exit-intent technology, multi-step popups, on click popups, a/b testing, availability of popular integrations, advanced targeting and world-class support from real people. Are you using Beaver Builder or Elementor to manage your site or accelerate your web design projects? Here’s some good news for you. You can now get Ultimate Addons for Beaver Builder and Ultimate Addons for Elementor, both at 30% off their regular rates. I can hear that evil laugh of yours! 😈 Ultimate add-ons for Beaver Builder and Elementor offer you with a wide range of light-weight modules which you can use on your site, white label add-ons, endless page templates, full demo websites, and are WooCommerce compatible & translation ready. All-in-one Schema Pro allows you to easily add schema markup to your blog posts without you needing to do anything manually. All you need to do is choose the schema type (article, recipe, event, product, review, local business, job postings, etc) and fill in the required details. Adding rich snippets will help your posts stand out from the rest in search engine results page and increase your click-through rate. Here’s a short Schema Pro review + coupon for you to read meanwhile. WP Portfolio is one of the most advanced portfolio plugins available for WordPress. It allows you to showcase your websites, images, and videos together in an elegant manner to impress your potential clients and existing customers. Moreover, it comes with free inbuilt white-labeled websites which you can import and use as your own. Building portfolio sites have been never this easier. And the best part about WP Portfolio is, it is compatible with all your favorite page builders. So what are you waiting for? Click on the below button to activate your special Black Friday discount on Astra theme and other Brainstorm Force products!